A warm welcome and informative introduction by Josephine Carpenter got the film 25 April off to a good start. Having very little experience with this type of film I wasn’t sure what to expect but what I saw, heard and felt while watching it convinces me that this film and filmmaker Leanne Pooley deserve to be up there with the best of them. 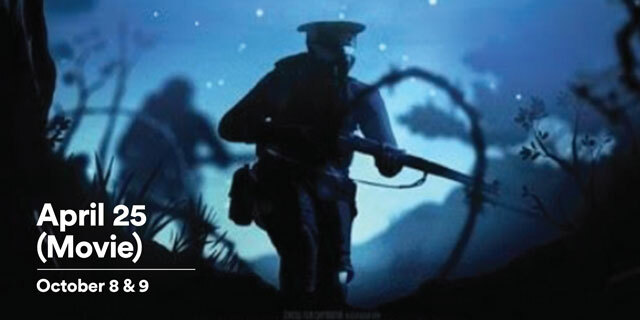 With brilliant imagery and using colourful graphics and animation, completed by a great soundtrack the story of Gallipoli and the ANZAC experience is told. The key points, including the terrible military decisions (but importantly the original objectives), were explained in a simple, easy to follow way. The story was narrated by real people: several Kiwi soldiers and an Australian nurse, using their diaries and letters home, a clever and very well used technique. Obviously research was a huge part of the filmmaker’s work. The closing scenes showed the characters from the film which morphed into photographs of the real people themselves, alongside a small comment on the rest of their life. An excellent movie, one with a great message simply told. It was well appreciated by the 30 or so attendees, including a 91 year old ex WWII pilot, at the Hastings Club this wet Sunday afternoon. I sincerely recommend it for wider viewing.